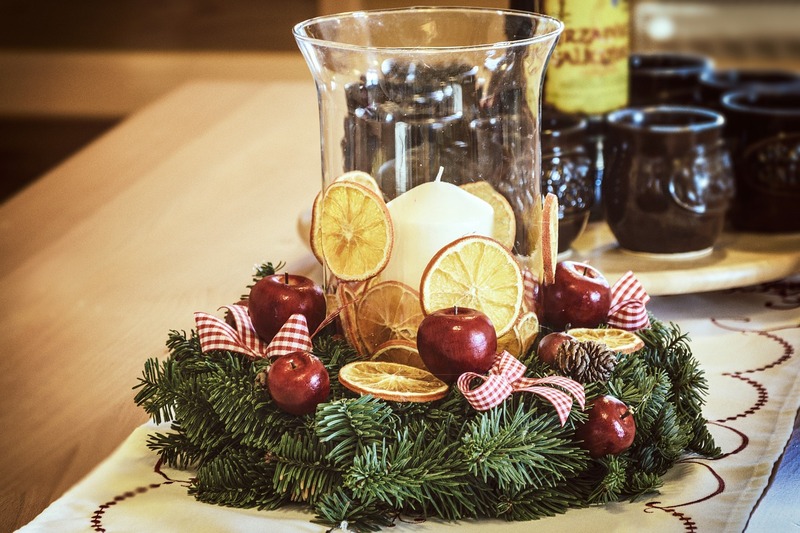 With all the flurry of holiday activities, from planning menus, to attending school holiday programs and employer parties, one thing that may have slipped through the cracks is prepping for holiday guests. If you’ve put off scouring your house from top to bottom for the last minute necessary items, never fear! You can make your home warm and inviting for guests in less time that you think! And it won’t involve vacuuming under your refrigerator or cleaning the dust bunnies from under your bed! Let’s face it…your guests are there to see YOU, not your house. So don’t stress! What is most important is that your guests feel welcome, and you can do that with these simple steps! This is the only room on the list that we’ll stress to clean, clean, clean. Nothing is worse to a guest than bathroom grime. So if you spend any time at all actually cleaning, spend it in the bathroom. Make sure the floor, counters, tub, and toilet are sparkling clean and could pass Health Department inspection. Stock up on TP and clear away your personal items. If you have multiple guests sharing a bathroom, set up color coordinated towel sets for each person, so they can easily identify their own towel. Included matching towel, washcloth and hand towel for all their needs. In addition to towels, think about the toiletry items your guests might need (or forget to bring). A festive basket stocked with trial size shampoos and conditioners, lotion, razor and shaving cream, toothbrushes, toothpaste, mouthwash, etc., will make your guests feel welcome. No one likes to live out of a suitcase, especially when guests often travel with nicer clothes for holiday parties, church services, or more formal gatherings. Help you guests avoid the wrinkle monster and clear out some closet and drawer space for them to put away their clothes in your guest room. Even better, offer to store their suitcases out of the way, so they aren’t tripping over them in the guest room. It’s hard to know what temperature your guests will find comfortable, and few people have the luxury of being able to regulate temperature in individual bedrooms anyway! So stock your guest rooms with a beside fan and extra blankets. That way, your guests have what they need to be comfortable while sleeping. Most people do a fairly decent job keeping their homes passably clean, but one area that tends to collect clutter is the living room/entryway. Make sure your entry is clear of coats and shoes, so there is space for your guests. In the living room, clear out the collected clutter, and set out some current magazines, books, or catalogs for your guests to peruse. Make sure you have plenty of available seating, and put out a couple of blankets for those guests who are prone to chill. Even if you’ve meticulously planned every meal, keep your kitchen stocked with plenty of snack items. Nothing is worse than being away from home, adhering to someone else’s meal schedule, and feeling that mid-afternoon rumble of hunger…and then going through the embarrassment of asking your host for something to eat. So let your guests know that mi casa es su casa, and keep on hand a variety of snacks to match a variety of tastes. Don’t make your guests ask how to get on your Wi-Fi. Provide a handy sheet or card with important information, like the Wi-Fi password, instructions on how to use your TV or access Netflix, contact phone numbers if you’ll be leaving your guests on their own for any length of time, code for the alarm system, and anything else that might be useful. Spending time with family friends over the holidays should be a joy and a blessing. So, eliminate the stress and focus on what will be most important to your guests. We promise, they won’t notice if things aren’t absolutely perfect. When it comes to buying or selling your home, we are here to help answer any questions and guide you through a better understanding. Please do not hesitate to contact us at info@piersonrealestate.com or phone us at 202.800.0800.